$ave Wedding Dollars! Make Your Bridal Veils! It's Easy! Having owned a bridal salon for many years, I can tell you that it's easy to make your own bridal veil. In fact, in my store, we made all our customers' veils. The good news is that if you can sew a hem that's come undone, you can make a bridal veil--or veils. It will save you hundreds of dollars! 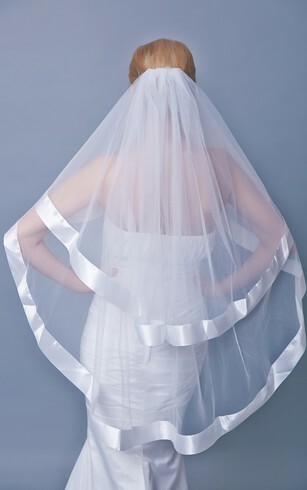 Go to a crafts'/fabric store and buy a "pattern" for a bridal veil. 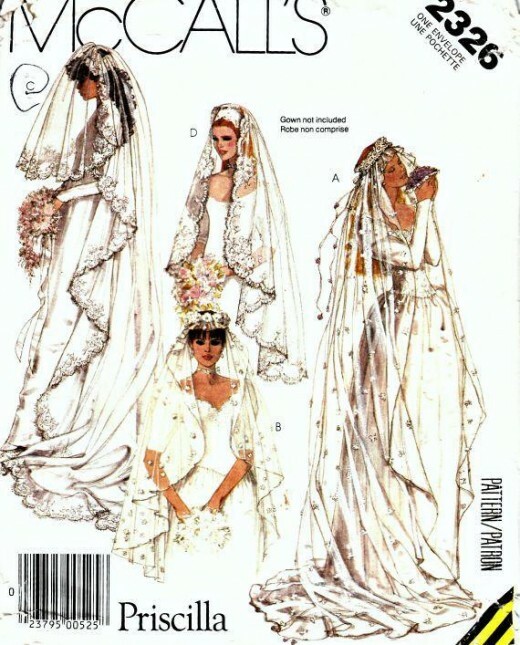 Most patterns feature all kinds of veils: fingertip; cathedral; "blushers" (face veils) and everything in between. 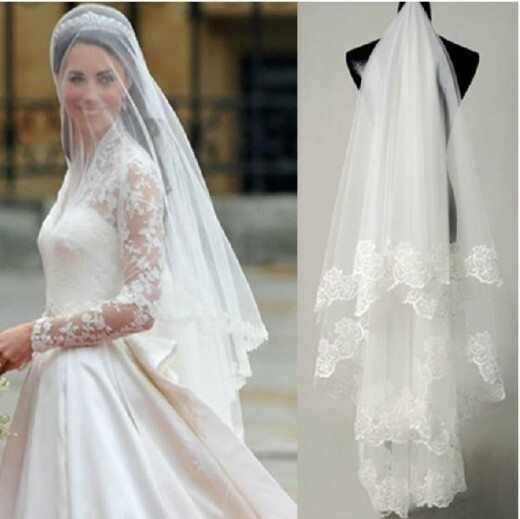 The pattern will specify the amount of tulle you'll need for each veil. Buy it at a crafts' or fabric store; it's a couple of dollars or less per yard. Make sure it's the same color as your gown. Follow the instructions in the pattern and cut the veils. Gather the end of the tulle and stitch it so it stays together and then sew it to a comb. 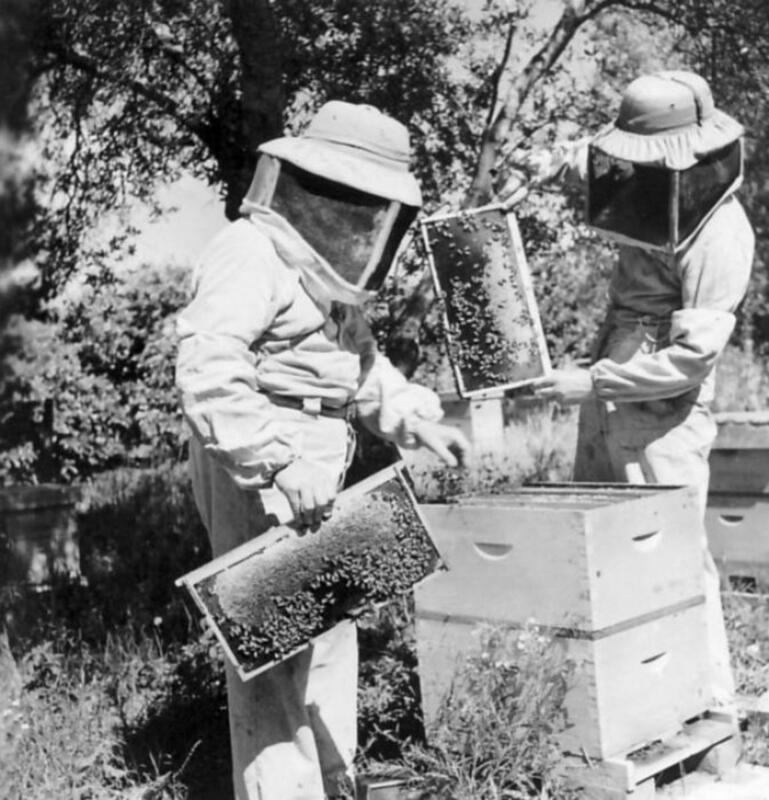 (Hold the comb so that the teeth are pointing upward; the comb should bow towards you. Sew the tulle to the top of the comb.) 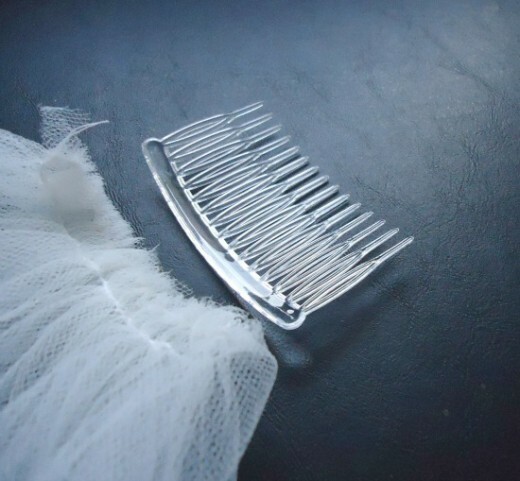 When you flip the comb over, the tulle will billow outward from the comb; you will not see the stitching. Slide each comb into your hair, behind your headpiece. 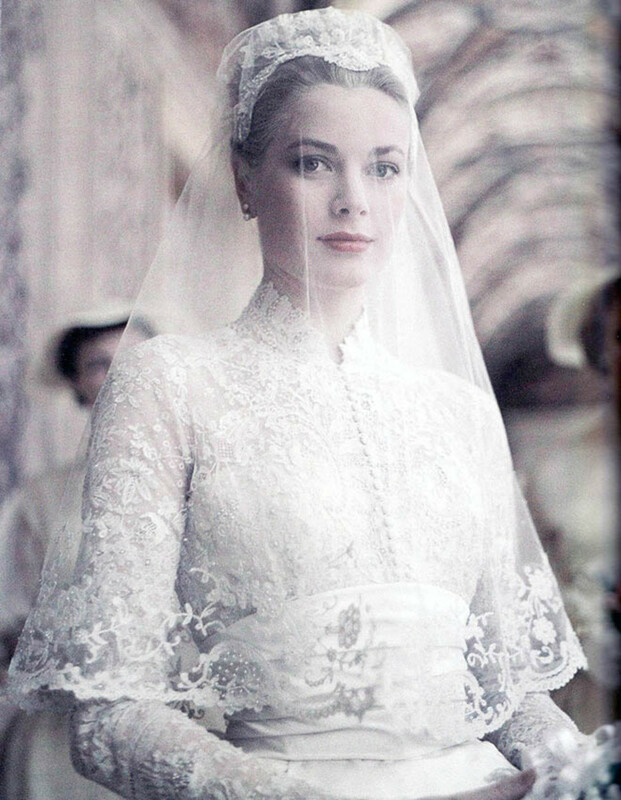 When using multiple veils, slide one comb on top of the other, the longest veil first, followed by the next longest, etc. 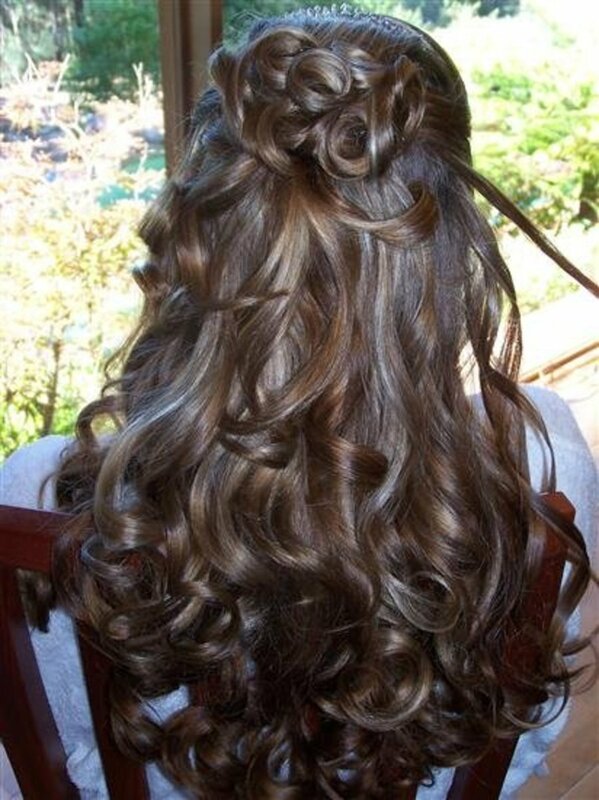 After the ceremony, simply remove the veils by removing the combs. Fancy Veils: For the Creative in YOU! If you can use a sewing machine, you can easily sew a ribbon trim on a veil, in the ribbon width and color of your choice. 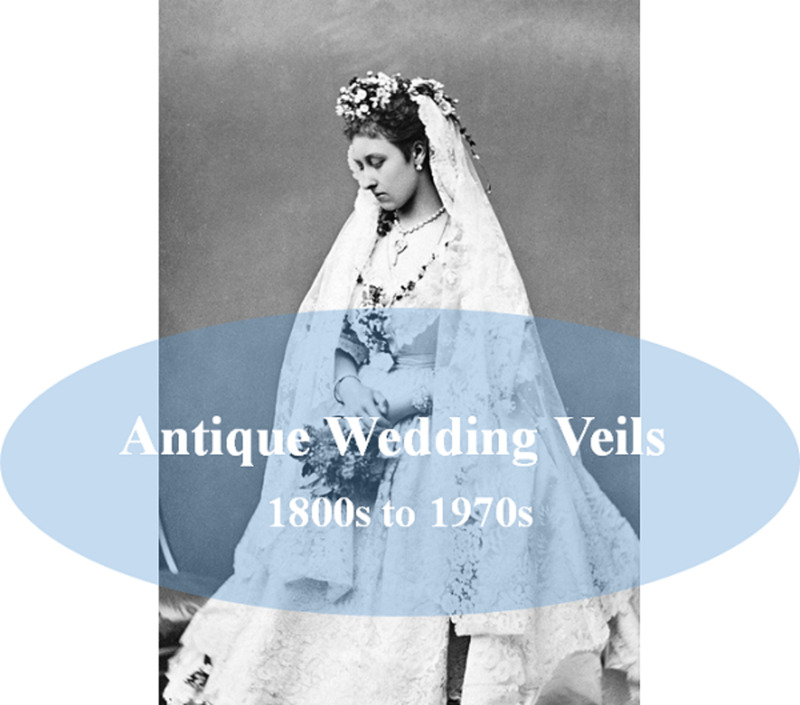 You can even sew a lace trim onto the veil. Do this before attaching to a comb. You can also glue on crystals, sequins, or pearls, or a combination of these faux gems onto a veil or veils. Use Beacon's Fabri-Tac glue. NOTE: Do not sew crystals, pearls, etc. onto a blusher or you'll look like you have measles. Sew on silk flower petals. 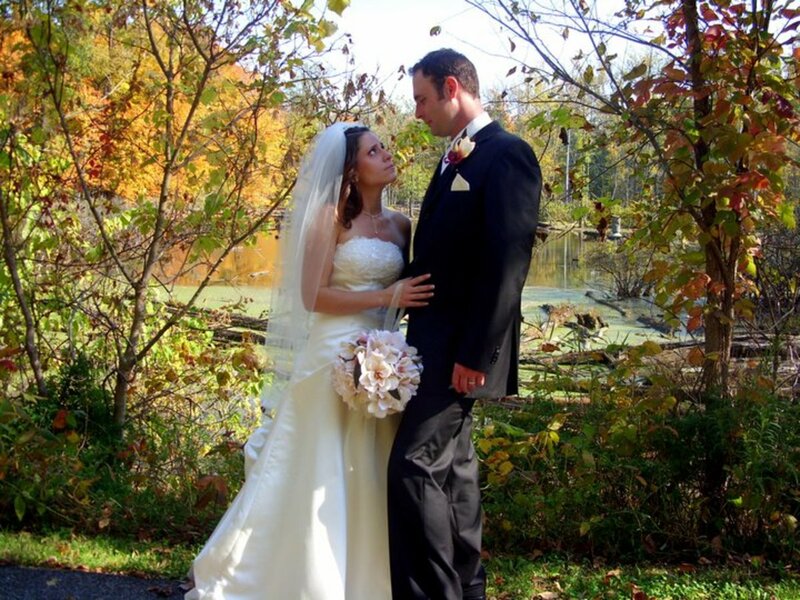 We used to buy silk flowers at a crafts' store, remove the petals and glue them to veils... It was beautiful and artsy! You can do it, bride-to-be! (c) Deborah McCoy, AAWP. All rights reserved. 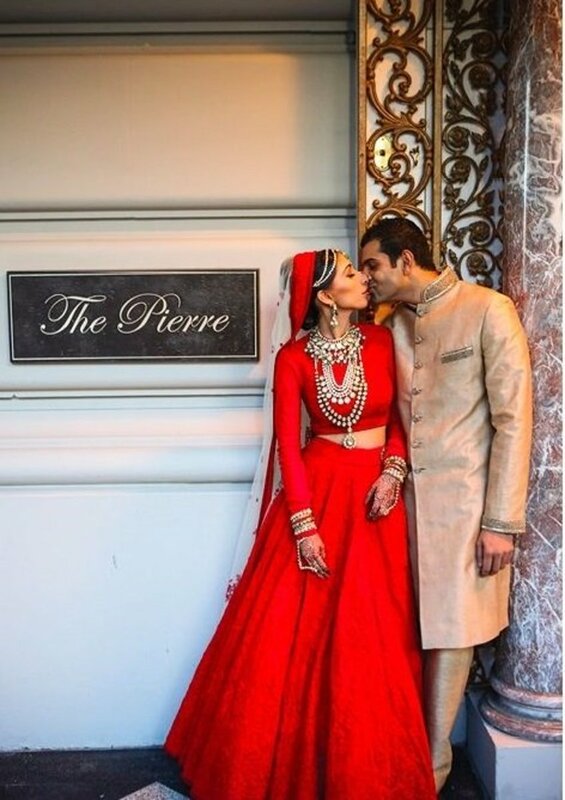 How to make a beautiful unique bridal veil for your own wedding.